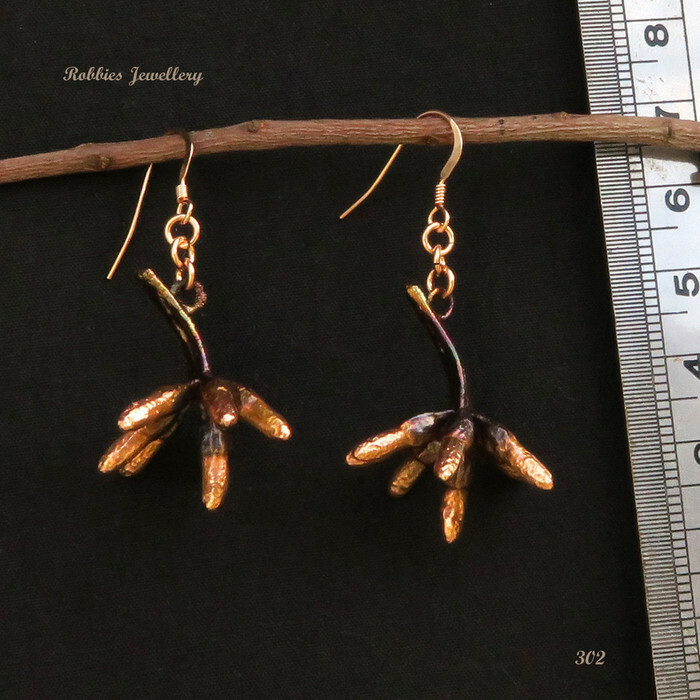 Buy these beautiful copper plated eucalyptus flower buds for yourself or as a gift, and capture a piece of the unique Australian flora. The buds have preserved in a thin layer of copper through an electroplating process that replicates the surface textures of the original buds. 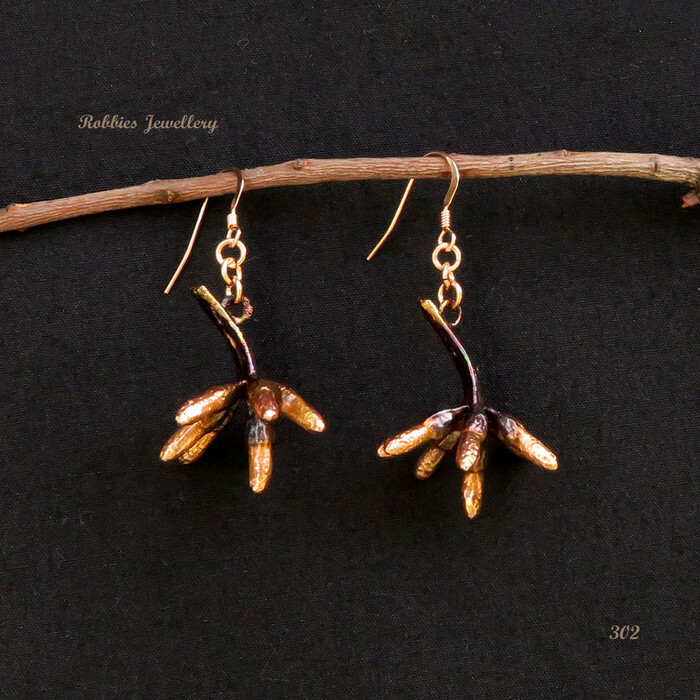 A dark patina was applied to the stem and base of the buds, which highlights the shiny copper finish of the bud tips. The earrings are very light, less than 10 g, but surprisingly strong. In a previous experiment Robbie bent a plated leaf back and forth several times before it broke into two pieces. Hence it will bend before it breaks. You can see the video of this on the Facebook page (search for RobbiesJewellery). The attached hooks are rose gold filled. Rose gold gets its colour from the high copper content and is the perfect compliment for the buds. This is one of several copper plated earrings and necklaces that Robbie has available. Therefore be sure to check his other listed items and email him if you don't see the shape/colour you are after. Robbie posts pictures of all his items on Instagram, search for RobbiesJewellery. Robbie is happy to arrange for local pick up/viewing If you live in or around Adelaide SA. Email Robbie for international shipping. Thank you for visiting Hand Crafted by Robbie. 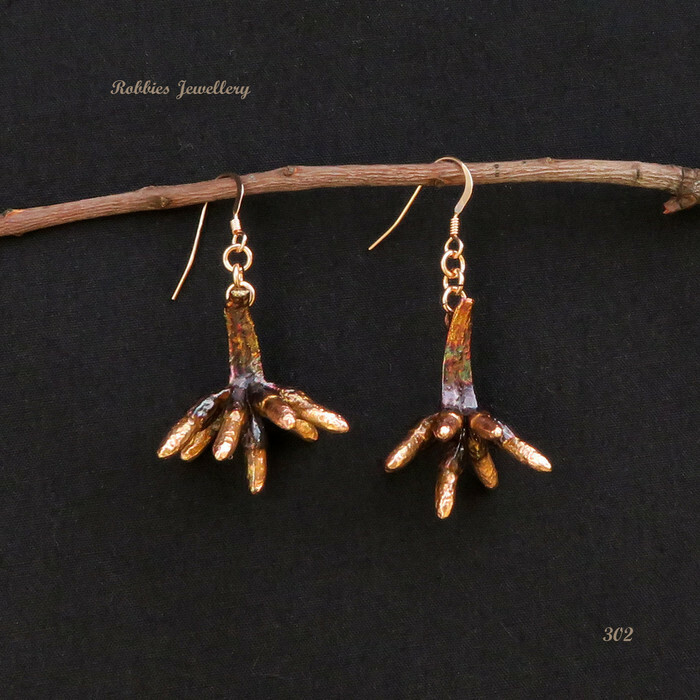 All of Robbies jewellery items are handmade from carefully selected natural materials. I welcome your comments and feedback.